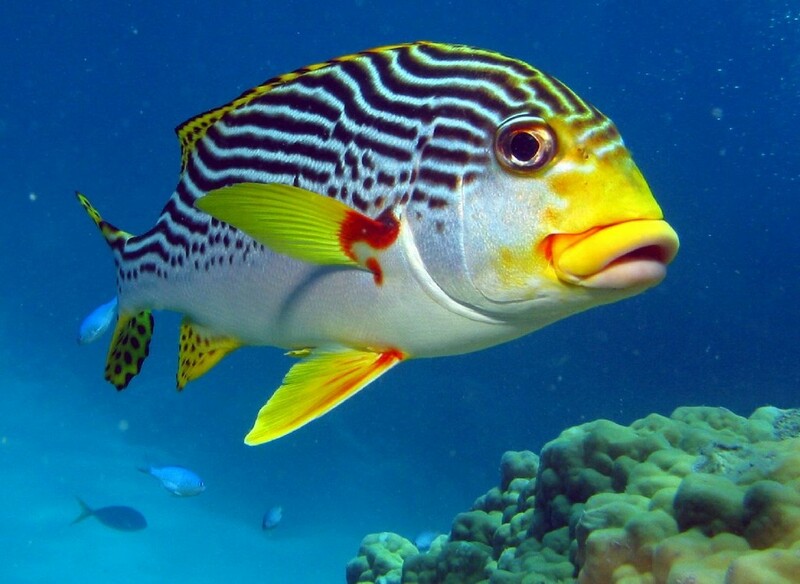 The Diagonal-banded Sweetlips or Plectorhinchus lineatus is a beautiful saltwater fish found in the Asian Pacific in and around reefs. These Grunts get their name from their bright yellow, rubbery lips. Also known as Oblique-banded Sweetlips, Goldman´s Sweetlips, Oriental Dogfish, Yellow-banded Sweetlips and Lined Sweetlips. You can check them out on The Great Barrier Reef in the video below. Many times these nocturnal fish are found in small schools feeding on small fish and crustaceans. These fish are sometime kept in an aquarium, but are not considered to be the easiest to take care of. If you have any additional information about the Diagonal-banded Sweetlips please leave us a comment.